We certainly can’t be happy with losing three of four to the Red Sox at home, but it doesn’t seem as bad when you salvage the series finale and end a five-game losing streak. Now the White Sox head into an off-day with a satisfying 4-1 win and get back to .500 at 11-11–tied with the Tigers for second place and just a game behind the Tribe, who invade the Cell for a three-game set on Tuesday night. 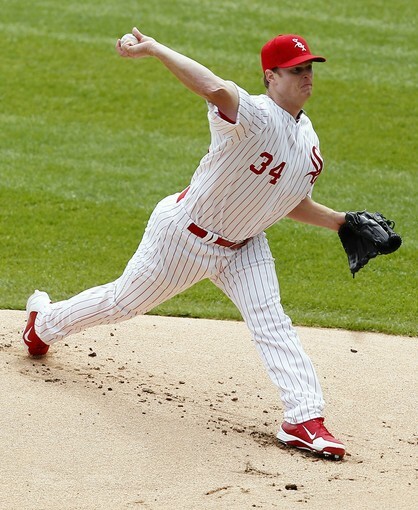 Gavin Floyd was the “man” today as he headed into the seventh inning with a no-hitter. He lost the no-no on a Dustin Pedroia single and the shutout on a Cody Ross RBI single and was replaced by Addison Reed. In 6 2/3 frames he allowed just the one run, three hits, one walk and nine strikouts. Reed pitched a scoreless inning and Matt Thornton was perfect in 1 1/3 with two strikeouts for the save. Even more impressive is that Thornton retired the heart of the Bosox lineup–Pedroia, Adrian Gonzalez and David Ortiz–in order in the ninth. The Sox offense, with red-hot Paul Konerko out of the lineup with a stiff neck, held up their end of the bargain after the 1-0 loss on Saturday night. In a three-run first, Alex Rios had a RBI single and Adam Dunn a long two-run homer. The South Siders scored an insurance run in the eighth on a clutch two-out RBI by Dayan Viciedo. 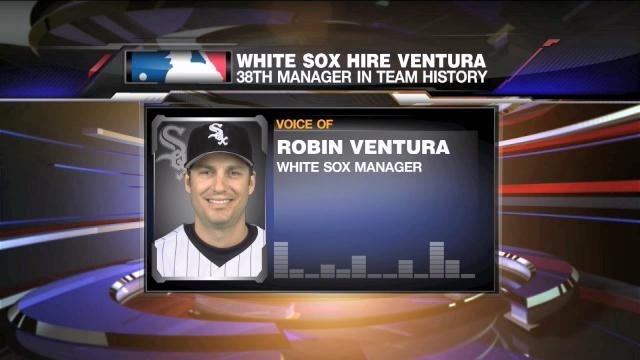 It doesn’t escape me that the day the world was mourning Apple visionary Steve Jobs, the personification of thinking out of the box, that Jerry Reinsdorf and Kenny Williams named Robin Ventura manager of the White Sox. All we’ve heard since Ozzie left for South Beach is that the top candidates were Sandy Alomar, Jr., Dave Martinez and Terry Francona. Then, yesterday, the Sox fooled us all and chose one of their own who has absolutely no professional coaching or managing experience. I think it’s a terrific, inspired choice on multiple levels. Ventura is a proven leader, he is familiar with the White Sox, he’ll have credibility with the veterans, will nurture youngsters like Brent Morel, Gordon Beckham and Dayan Viciedo and will somewhat offset the loss of Guillen in the eyes of the fans. He will also be great with media in a non-Ozzie sort of way. He will be thoughtful with a touch of wry humor as opposed to his predecessor’s 24/7 stream of consciousness. And, as far as I know, he doesn’t have a twitter account. As you would expect, many in the baseball community have come out of the woodwork very skeptical of the move. Everybody from Tigers’ coach Gene Lamont, a former Sox manager, to a legion of baseball writers. With experienced men out there for the taking, they’re saying, how can the White Sox pick someone with absolutely no experience? My answer to them is that managing a baseball team is not rocket science. It’s about leadership. Everything else can be learned. What Ventura doesn’t know about pitching, he’s got Don Cooper. What he needs to understand about other facets of the game he’ll have an experienced bench coach and another quiet professional in Harold Baines. And in time, Robin, who was a smart player and a consummate pro as well as being enormously popular, will know all he needs to know. Nobody, including Ventura, knows how this will play out. But with high risk there’s high reward. And although Mr. Jobs most likely didn’t know the White Sox from the Red Sox or Stan Williams from “No Neck” Williams, I think he would have approved of this decision. It seems serendipitous doesn’t it? On Monday, the White Sox release Ozzie and two days later he officially becomes the manager of the Miami Marlins. Then, in about 48 hours with the Sox on the hunt for a new skipper, former Chisox minor league manager Terry Francona, after winning two world titles in Beantown, parts ways with the Red Sox. Arrange the press conference at the Cell immediately, right? Well, not so fast. 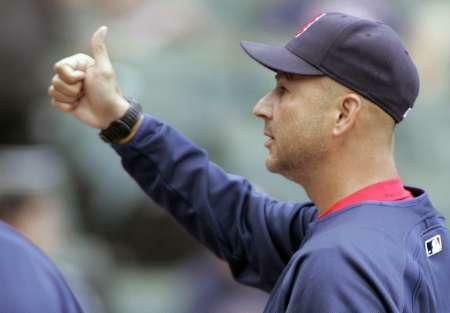 Conventional wisdom is that hiring Francona should be a no-brainer. A proven winner with ties to the organization that would give the South Siders an established leader in the dugout and instant credibility with the fans. But is it the right thing to do? Is Francona the answer or should the Sox brass opt for a fresh start with a young, respected, managerial star of the future? At the risk of waffling, I would be happy either way. I’d welcome Francona and his impressive resume. 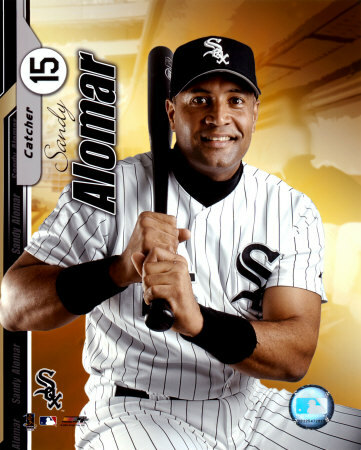 I also think Sandy Alomar, Jr., the Tribe’s new bench coach who seems like the favorite to get the job, or Dave Martinez, Joe Maddon‘s trusted bench coach with the Rays, would be outstanding choices. And both have spent time in a Sox uniform. Nothing in sports is as frustrating as the ups and downs of a 162-game baseball season. Last week, the White Sox won a tough three-game series with the first place Tigers and moved to within three games of the division leaders. Today, after two losses to the Red Sox and one to the Yankees last night, the Pale Hose find themselves on a three-game losing streak, three games under .500 and 4 1/2 games behind Detroit. With three games left with the Yankees this week and three in Minnesota this weekend, the reality is that the season is hanging in the balance. Last night was a game to forget. Paul Konerko was out of the lineup with an injured calf; 12 runners were left on base; hitting into double plays continued to be an albatross; Brent Lillibridge, in the lineup for his defense, didn’t hit the cutoff man on a crucial play; as a team they failed to execute offensively and only 24, 142 fans showed up to watch the Sox play the mighty Yankees. Oh, and Adam Dunn struck out three times in the cleanup spot. I think we’re at a point where we have to face the facts. The postseason, and maybe even a .500 record, don’t seem to be in our future. For anyone who wants to understand the White Sox struggles through the club’s first 106 games just has to look at the last three innings of today’s disappointing 5-3 loss to the Red Sox. It serves as a microcosm of the team’s failure to be better than their 52-54 record. 7th Inning: The Sox lost their 3-2 lead (wasting another Mark Buehrle effort) , largely due to a deflected infield hit and a Tyler Flowers passed ball that moved the tying and winning runs into second and third. The two runners scored on a Dustin Pedroia base hit. 8th Inning: With two outs and Alexei Ramirez on second with his 22nd double, Juan Pierre failed to drive in the tying run. 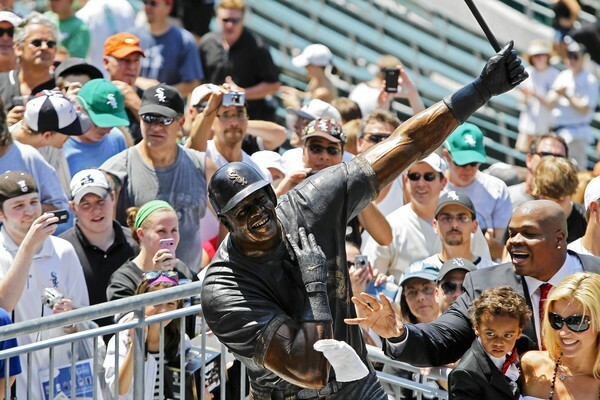 It is important to note that Pierre was hitting in the third spot only because he replaced Paul Konerko, removed from the game after being hit by a pitch. 9th Inning: Now down 5-3, the Sox had three of their supposed big bats in position to give it a shot. But they went down with a whimper as Carlos Quentin, Adam Dunn and Alex Rios all went down swinging. The problem, as we all know, is that Dunn and Rios are far from being big bats, despite the preseason expectations and the back of their baseball cards. They haven’t done it in the first four months and there’s no reason to believe things are going to change. If Dunn and Rios continue their woeful offense and continue to fail when it counts, there’s no reason to believe the Sox are any better than a .500 team let alone a division contender. Bad Timing? : With two losses in a row, the Sox find themselves in a tough situation with the Yankees coming in for four games. To make matters worse, C.C. Sabathia is on the mound in Game 1 tomorrow night. The White Sox mastery over the “other” Sox (seven wins in a row) was bound to end some time. And it certainly did last night as the streak ended with a thud–a 10-2 battering at the hands of Boston. 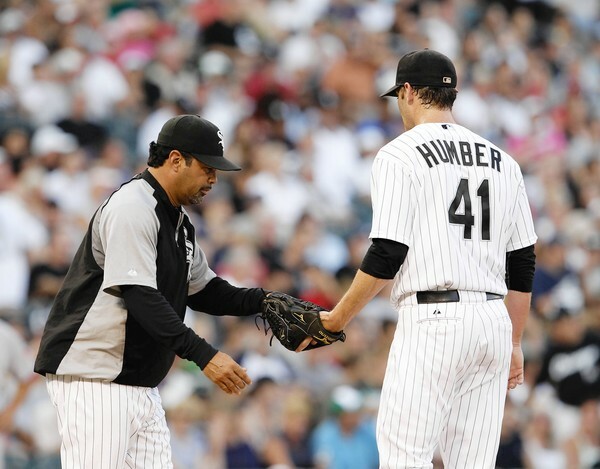 With Edwin Jackson gone, Phil Humber is being counted on more than ever with the rotation going from six to five. For the first four innings he appeared to be up to the challenge, but he didn’t survive the fifth as a result of giving up a four-spot before being pulled from the game. Jon Lester being on the mound didn’t help the South Siders’ cause. Our offense is problematic enough with facing the tough lefty, who gave up only two solo homers (Paul Konerko and Gordon Beckham), a total of four hits and struck out eight in eight innings of work. The game was probably decided anyway, but Boston scored a run in the eighth and five in the ninth off of Brian Bruney, a rare meltdown by a bullpen that has been close to perfect. The good news is that Will Ohman, Jason Frasor, making his Sox debut, and Matt Thornton had effective outings out of the pen. With the Yankees coming in for four starting tomorrow night, a series win today would be nice to see as we need to keep pace with the Tigers. Detroit remains three games ahead of us and a game and a half in front of the Indians. Both rivals have improved their pitching staffs as the trade deadline approaches. The Tigers acquired starter Doug Fister and reliever David Pauley from Seattle and the Tribe nabbed Ubaldo Jimenez from the Rockies. Sox Notes of Note: Kenny Williams indicated yesterday that the Jackson/Frasor deal very likely will be it as far as the Sox are concerned with the deadline this afternoon…The greatest hitter in the history of the franchise, Frank Thomas will be honored today with the unveiling of the newest outfield statue.